PHOTOS: After Diwali Fireworks, Smog Shrouds New Delhi : The Two-Way New Delhi suffers from intense air pollution every winter. On Monday, the stifling smog was particularly acute — in part because of the countless firecrackers set off for Diwali this weekend. An Indian worker sweeps a street in a cloud of choking smog in New Delhi on Monday, the day after fireworks for the Diwali festival. After millions of firecrackers were lit, New Delhi's air pollutants shot up far higher than normal levels. On Sunday, India celebrated Diwali with lamps, candles, feasting and fireworks. Now, a day after fireworks for the festival of lights, New Delhi is choked with a thick, dark smog. The celebrations sharply exacerbated the city's perpetual pollution problems — the BBC reports that in the wake of the fireworks, levels of extremely small particulate matter more than doubled over the course of a few hours. Those tiny particles, called PM2.5, can travel into the lungs and get stuck there, posing a serious health risk. The BBC reports that by Monday, PM2.5 levels had exceeded 30 times the World Health Organization's recommendation for average daily exposure. 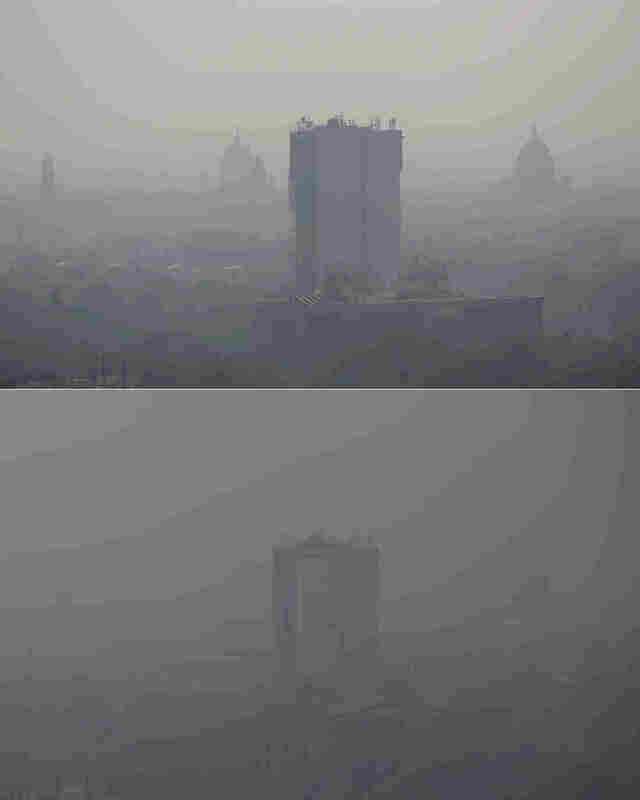 Photos of India's capital before and after the light show for Diwali, which lasts for five days, show landmarks first visible through the city's smog, then nearly erased by the spike in pollution. 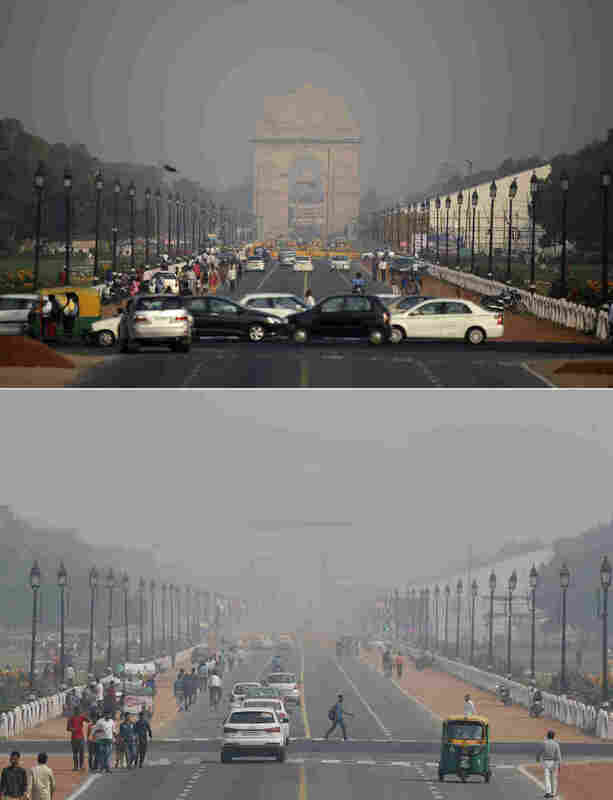 Two photos show traffic moving past the landmark India Gate monument in New Delhi before and after the Diwali celebrations: on Friday (top) and Monday (bottom). As Indians wake Monday to smoke-filled skies from a weekend of festival fireworks for the Hindu holiday of Diwali, New Delhi's worst season for air pollution begins. Residents of New Delhi have been advised to remain indoors Monday, The Associated Press reports, with special cautions for the young, elderly and those with health problems. Anumita Roychowdhury, the executive director of a New Delhi-based think tank called the Centre for Science and Environment, tells The Guardian there are several reasons for the severe Diwali pollution. Weather plays a factor — in winter, cooler temperatures and slower winds prevent the smoke from being blown away. 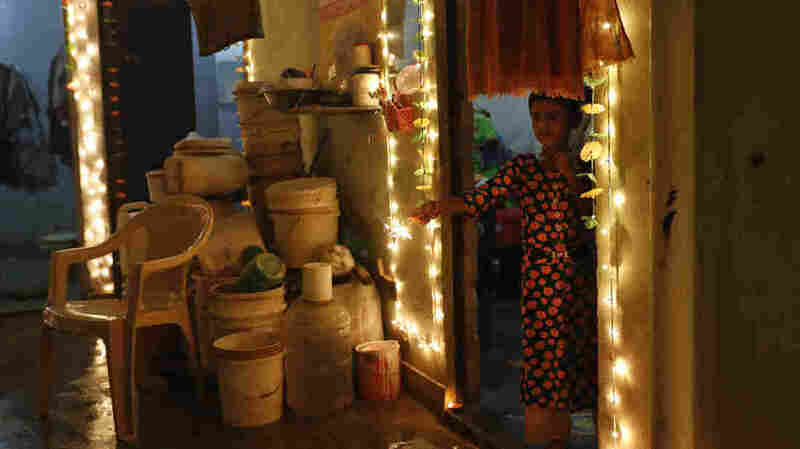 India's Central Pollution Control Board says wind speeds were lower for this Diwali than they were for last year's festival. A girl plays with firecrackers during Diwali on Sunday in New Delhi. Hindus light lamps, wear new clothes, exchange sweets and gifts and pray to the goddess Lakshmi during Diwali, the festival of lights. Then there's the baseline smog problem. "Delhi's air remains so polluted throughout the year that it doesn't really have room for additional pollution during Diwali," Roychowdhury tells the Guardian. 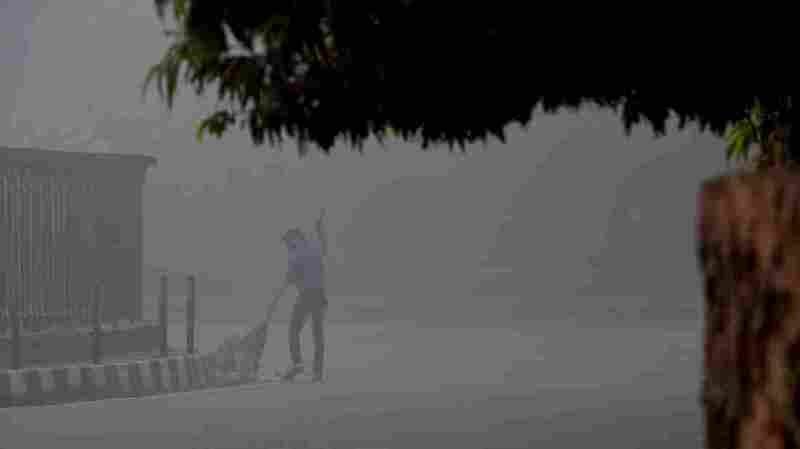 "New Delhi's air pollution, among the world's worst, spikes every winter because of the season's weak winds and countless garbage fires set alight to help people stay warm," the AP reports. Agricultural fires in nearby fields also contribute to the problem. "New Delhi has tried to clean its air," the wire service adds. "It has barred cargo trucks from city streets, required drivers to buy newer cars that meet higher emissions standards, and carried out several weeks of experimental traffic control, limiting the number of cars on the road. But other pollution sources, including construction dust and cooking fires fueled by wood or kerosene, continue unabated." In the run-up to Diwali, several campaigns called for residents to cut back on fireworks, the BBC reports. "Similar initiatives in the past have got little attention," the network says. A new report from UNICEF says 2 billion children live in areas with elevated air pollution, with nearly a third of them in South Asia. The report also says some 300 million kids are exposed to air pollution levels that are toxic, or six times higher than WHO standards.